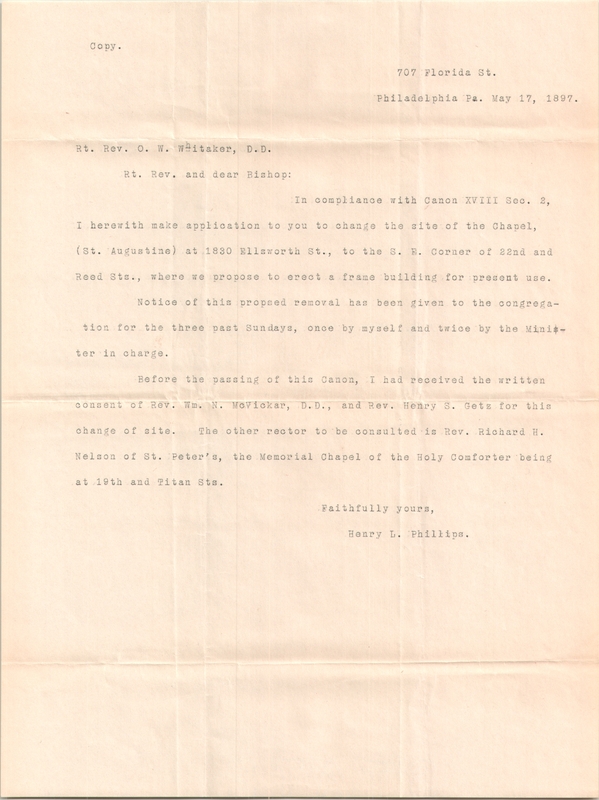 This entry was posted in Church of St. John Chrysostom and tagged Archives of the Diocese of Pennsylvania, North Philadelphia, Ozi W. Whittaker, Robert Ritchie on April 14, 2018 by mjk38. 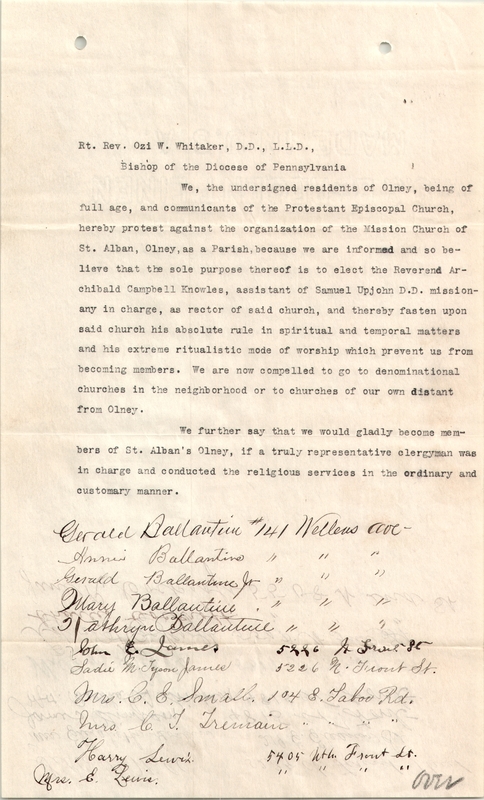 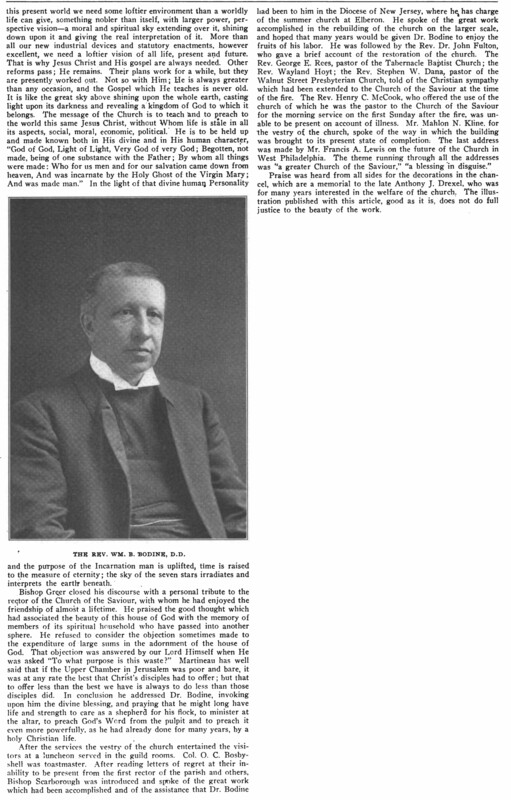 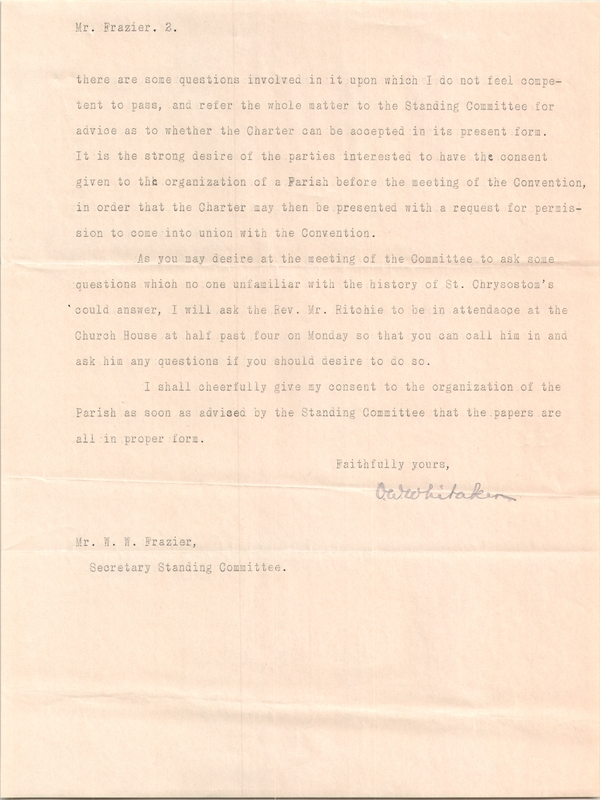 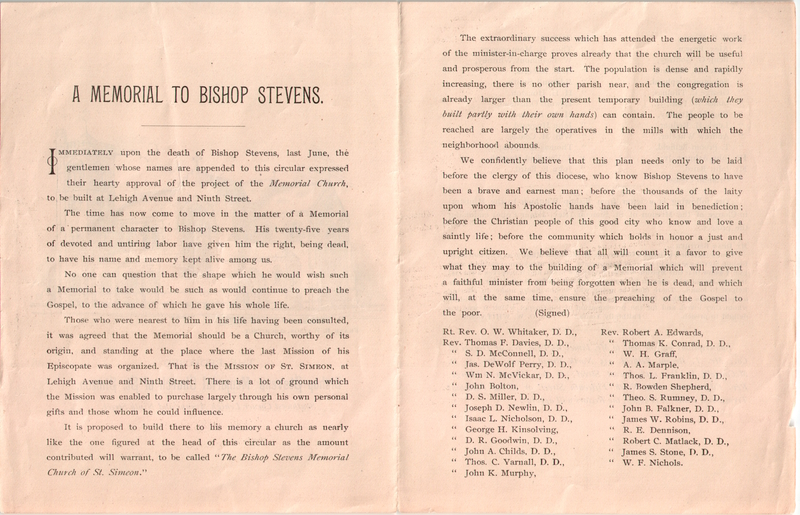 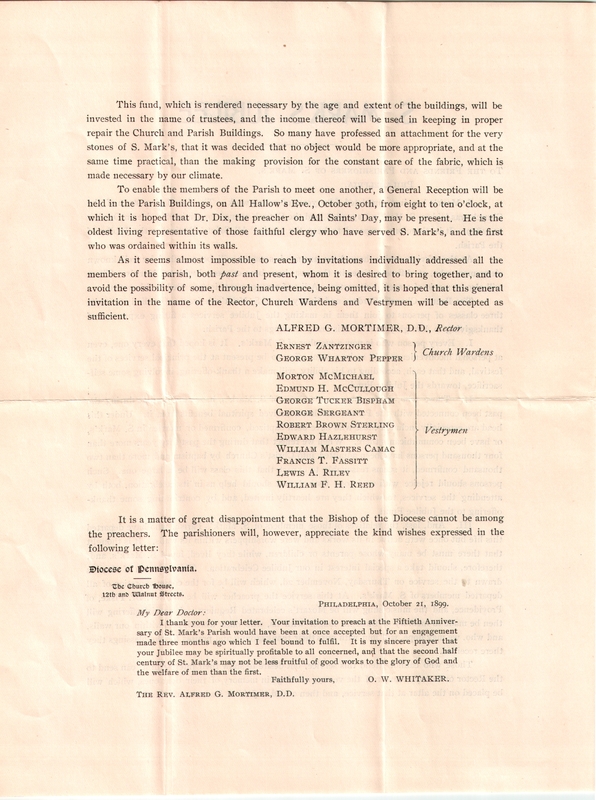 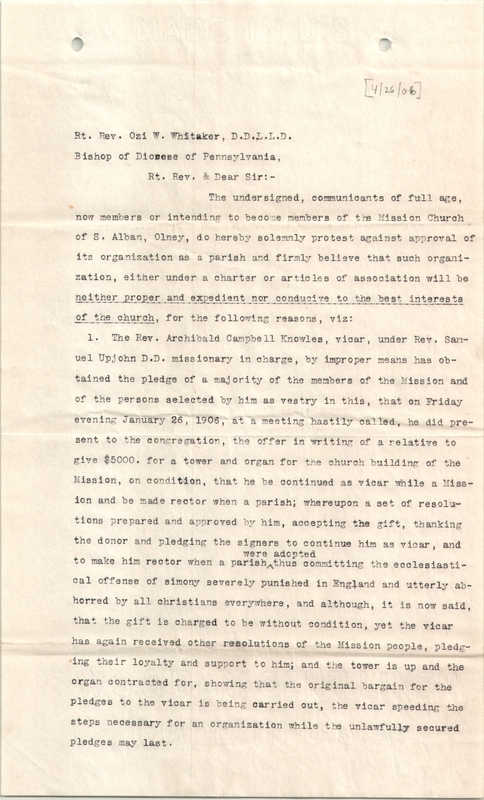 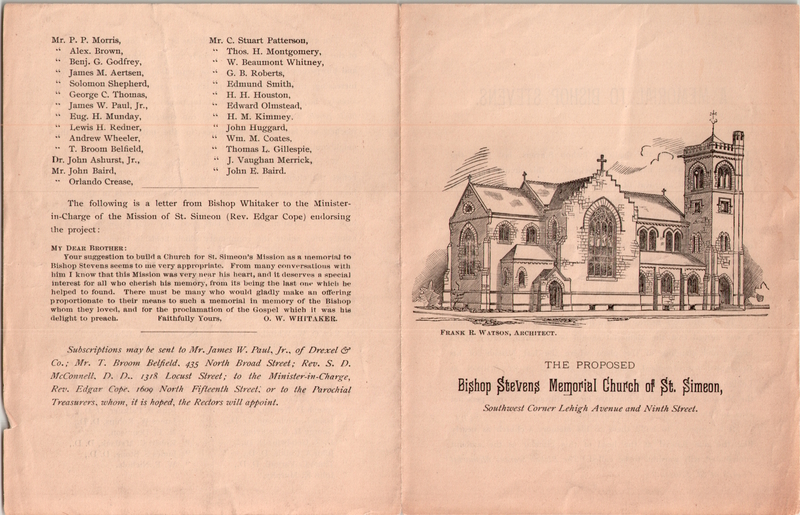 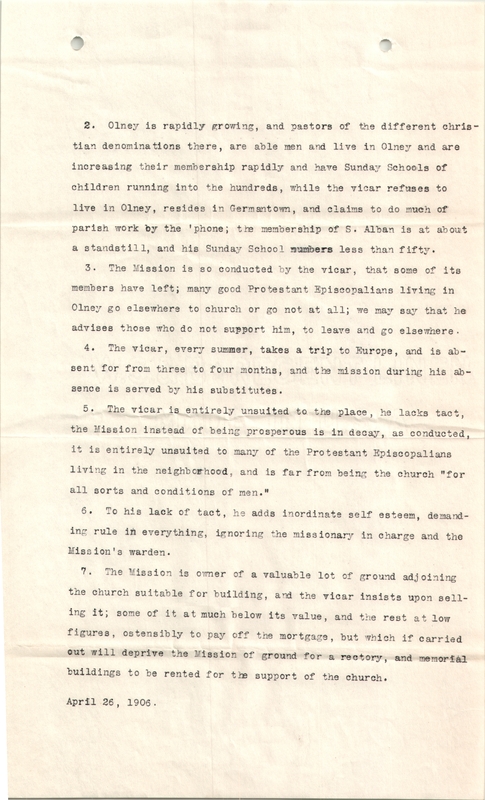 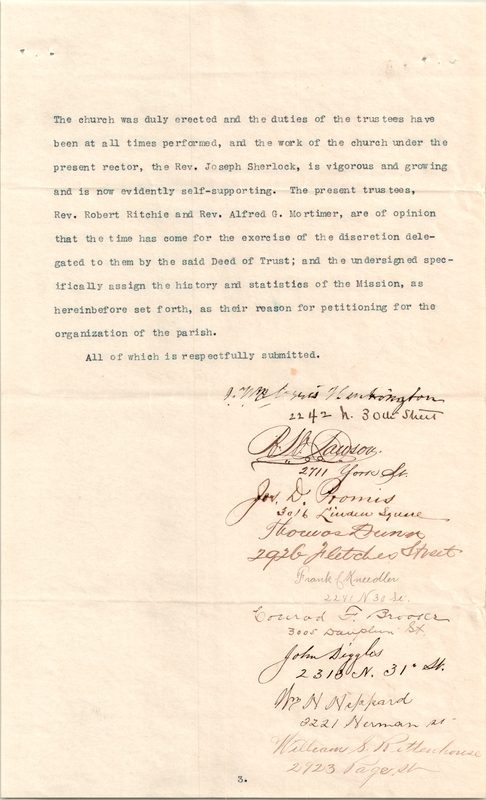 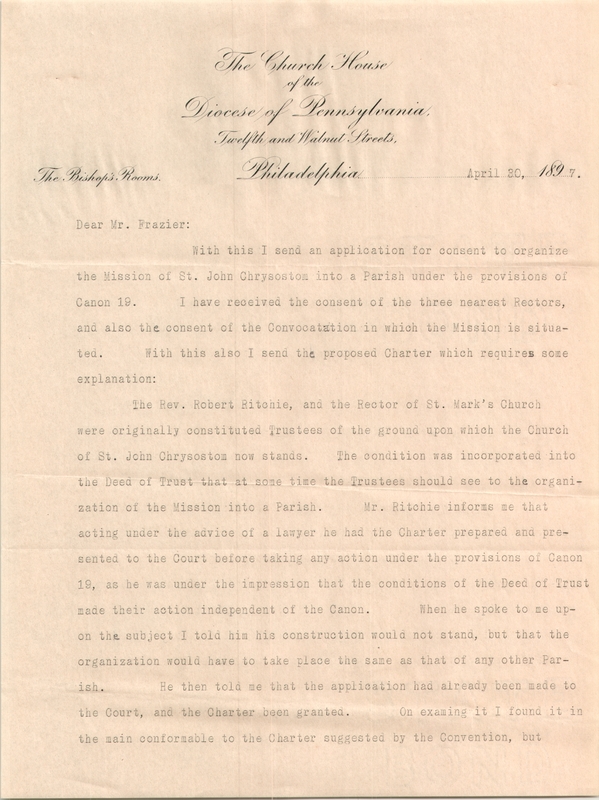 This entry was posted in St. Alban's Church (Olney) and tagged Anglo-Catholic Parishes, Archibald Campbell Knowles, Archives of the Diocese of Pennsylvania, North Philadelphia, Olney, Ozi W. Whittaker on June 7, 2017 by mjk38. 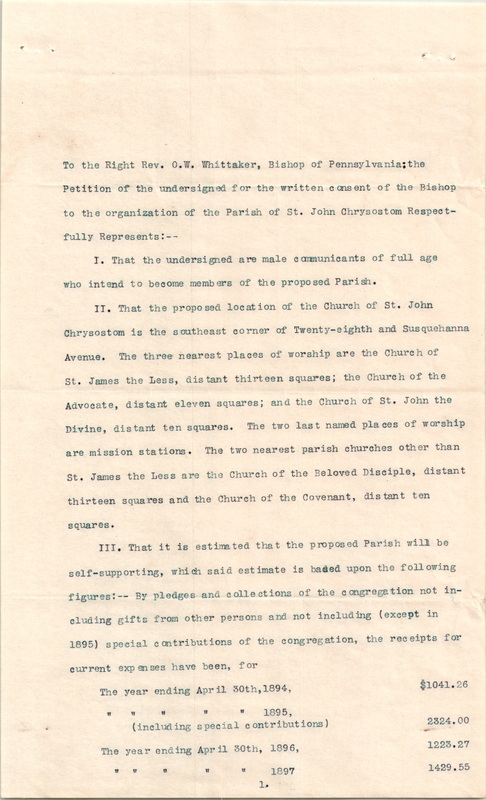 This entry was posted in Church of St. John Chrysostom and tagged Archives of the Diocese of Pennsylvania, North Philadelphia, Ozi W. Whittaker, Robert Ritchie on June 1, 2017 by mjk38. 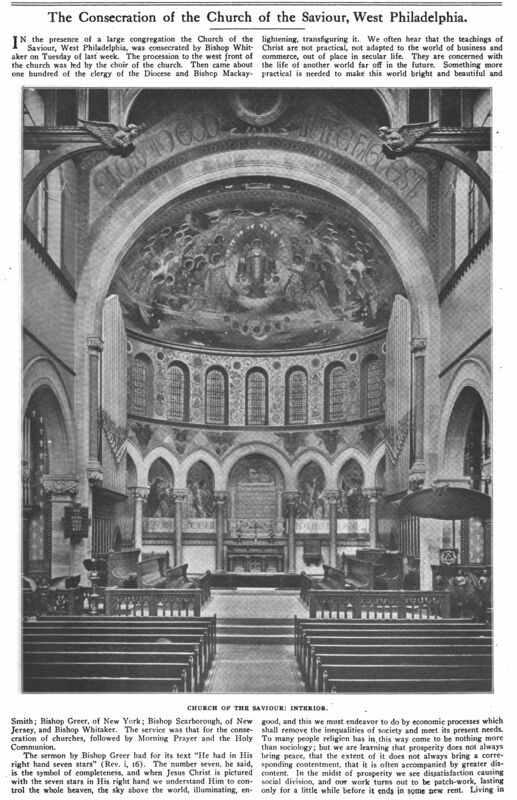 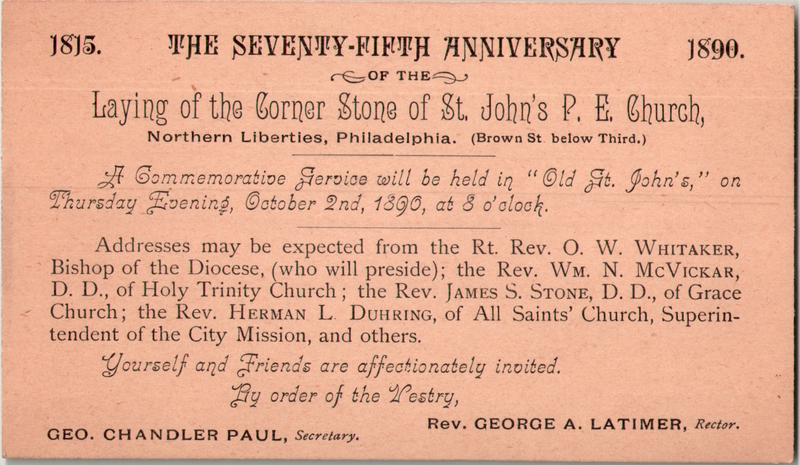 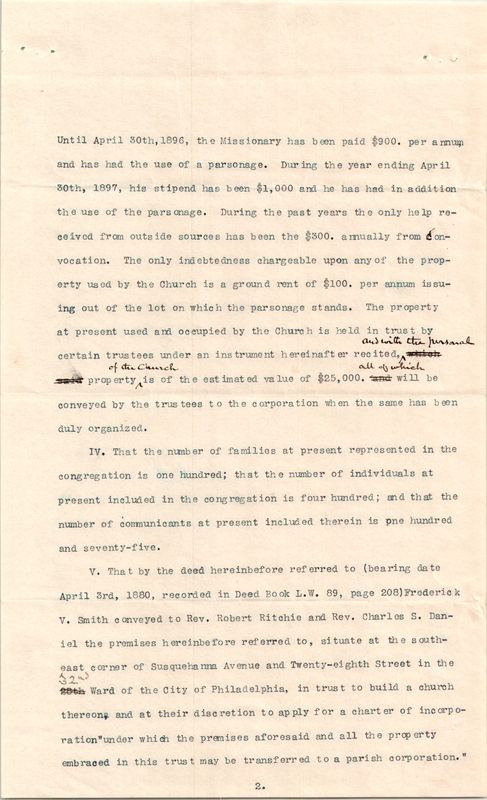 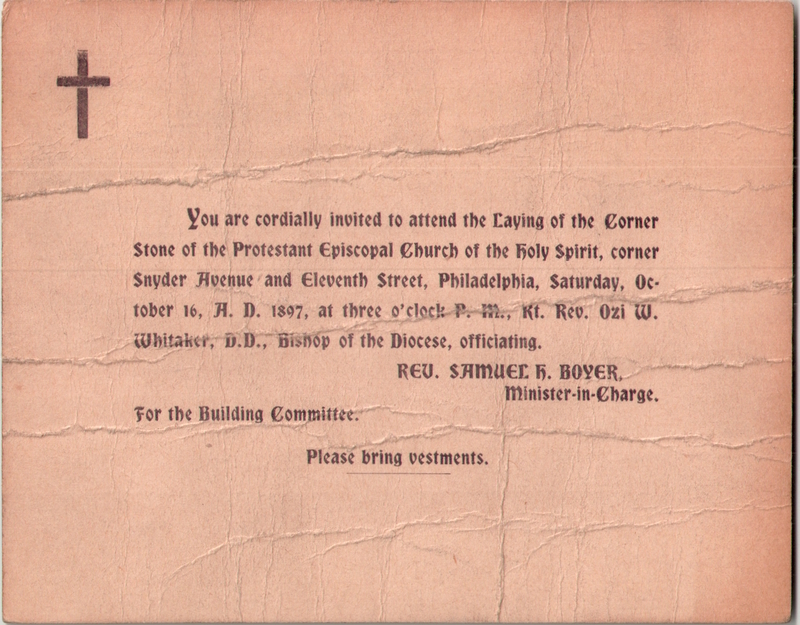 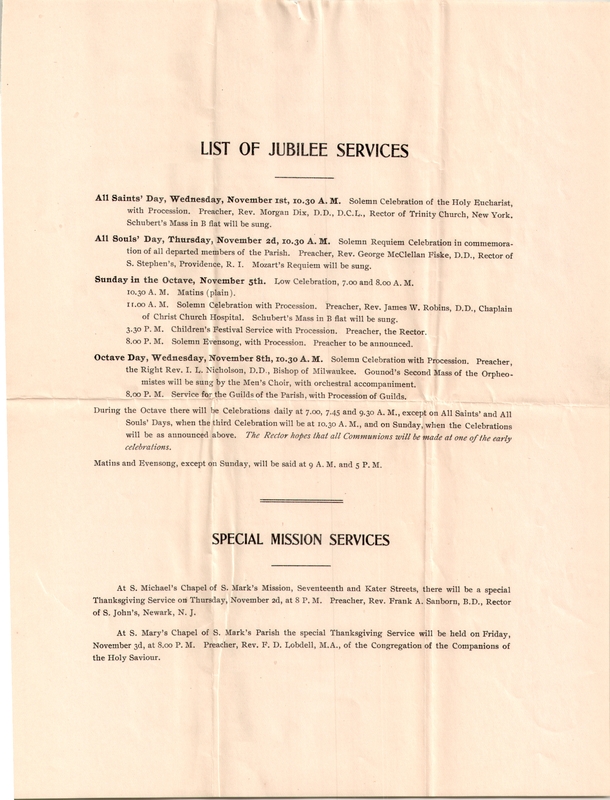 This entry was posted in St. John's Church (Northern Liberties) and tagged Archives of the Diocese of Pennsylvania, George A. Latimer, Herman L. Duhring, James S. Stone, Northern Liberties, Ozi W. Whittaker, William N. McVickar on December 27, 2016 by mjk38. 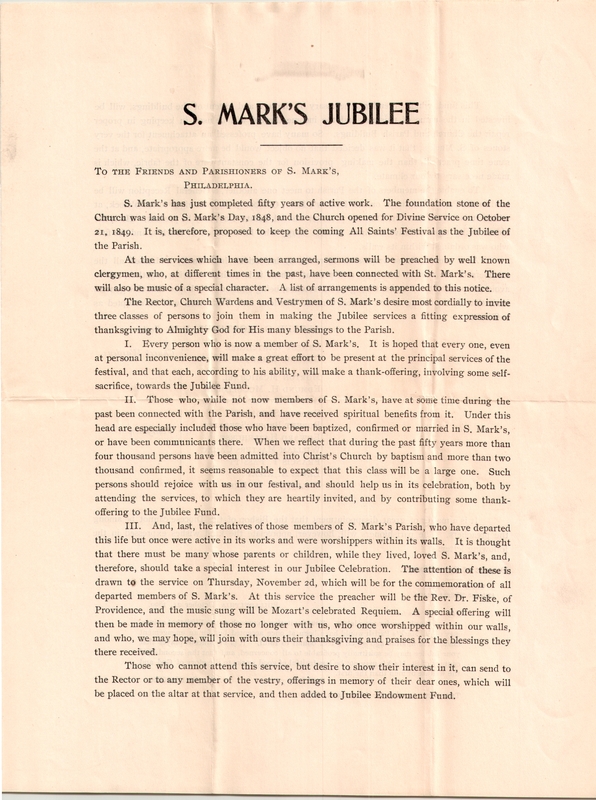 This entry was posted in St. Mark's Church (Philadelphia) and tagged Alfred G. Mortimer, Anglo-Catholic Parishes, Archives of the Diocese of Pennsylvania, Center City, Ozi W. Whittaker, Rittenhouse Square on July 15, 2016 by mjk38.